CBD Infused Hojicha Latte – Hojicha Co. The low-caffeine latte that will calm you with its soothing aroma and comforting taste. Hojicha is a roasted green tea from Kyoto, Japan. Since it is roasted, hojicha is naturally decaffeinated making it convenient to sip on day or night. The roasting process also removes any bitterness and gives hojicha its signature earthy aroma and reddish-brown color. Hojicha contains L-Theanine and pyrazines, which calm the body. Cannabidiol, also known as CBD, is a compound produced by the hemp and the cannabis plants. Unlike tetrahydrocannabinol (THC), CBD is non-psychoactive. CBD is often taken to treat sleep and mood disorders, reduce anxiety, or as an anti-inflammatory. CBD oil is made by extracting CBD from the hemp or the cannabis plant, and by diluting it with a carrier oil like coconut MCT oil. The therapeutic properties of hojicha and CBD combine to create the ultimate latte that relaxes your body and mind. Make this latte a part of your morning routine for a stress-free day, or sip on a comforting latte before bedtime as you wind down at night. 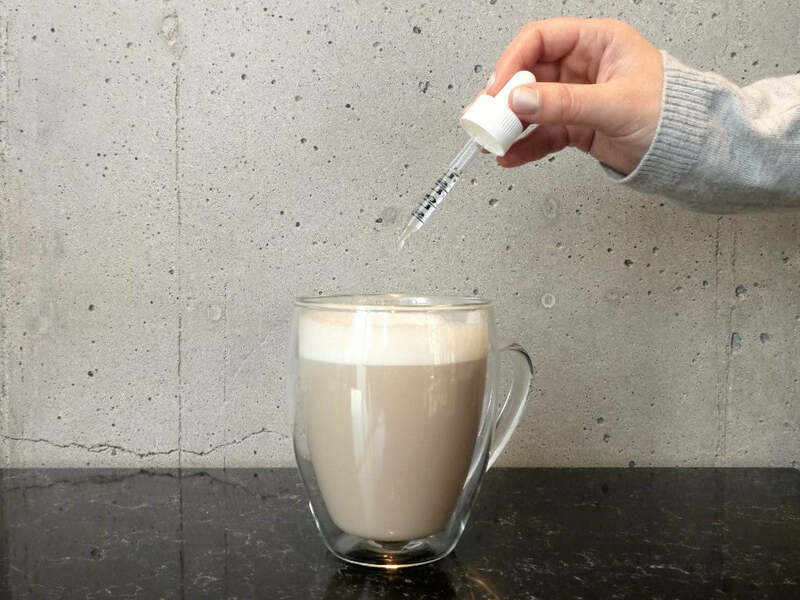 It’s as easy as adding a few drops of CBD oil to a hojicha latte prepared with your favorite type of milk. Since the naturally sweet hojicha flavor isn’t altered by most MCT based CBD oils, this latte tastes just as good when made sugar-free. Add 2 tablespoons loose leaf hojicha into a teapot of tea infuser. Heat filtered water to 90°C (194°F). Pour 125 ml warm filtered water over the hojicha in circular motions. Let the hojicha steep for 30 seconds, and then remove the tea leaves. Add the CBD oil, and 1 teaspoon maple syrup (optional). Stir to combine. Heat 125 ml of your favorite type of milk in a small saucepan over medium-low heat. Remove the milk from the heat as soon as steam arises, and whisk or use a milk frother to create foam. Pour the foamed milk over the hojicha, and enjoy your latte. Ready to try the CBD Infused Hojicha Latte? Start by ordering Hojicha Dark Roast loose leaf tea.